Located fairly close to Petite Anse Hotel, on the north coast is the beautiful River Antoine Rum Distillery. Built in 1785, it’s it thought that there was distilling performed here prior to this date. If you’re interested in history and culture heritage, this is the place for you. Named after a Kalinago chief, the distillery operates year round and has been running since it first opened in 1785. This is unique in the Caribbean. 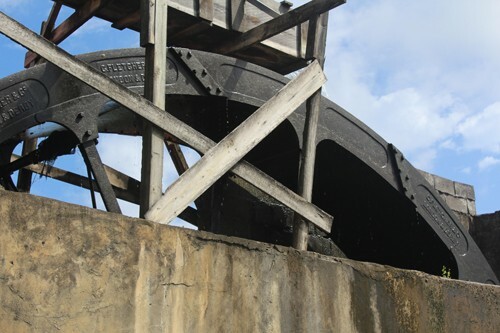 Although sugar cane is most plentiful during the dry season (January to May) the water wheel operates better during the rainy season of June to December. Watch bundles of cane being crushed to squeeze out the juice just as it was over 200 years ago. The residue cane is then taken by railway to dry in the sun and be used as fertiliser. It is known as bagasse. The juice is then filtered with a wicker mat, and transported into the main building where it is ladled into a series of copper basins. It is then boiled over a fire that is made from burning of the residue cane, bagasse. Once the cane juice has produced a concentration of the perfect level, it is then moved to cooling tanks where it spends two days cooling and starting its fermentation process. 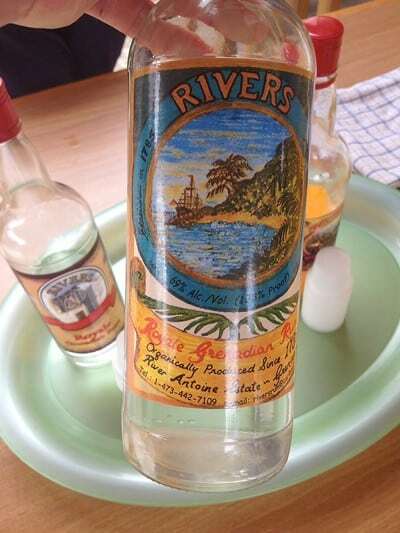 A visit to the Rivers Rum distillery will fascinate you. You can watch ad follow the process of manufacturing rum as it has traditionally been made. A process that has not changed in generations. The rum then passes through another process before being bottled and you can sample the final result. This factory will not be moved into the 20th century, let alone the 21st. 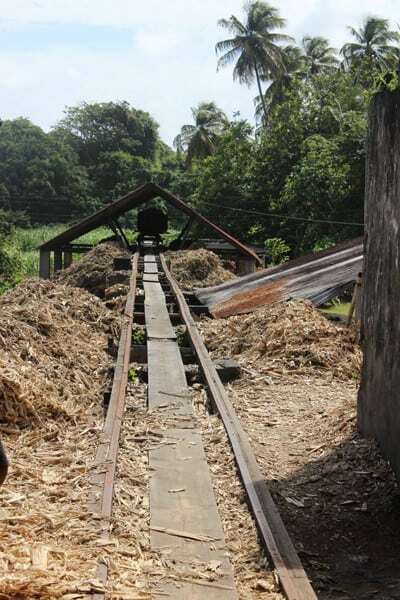 You can find out more about River Antoine Rum Distillery on Rum Connection’s insightful page on the experience. 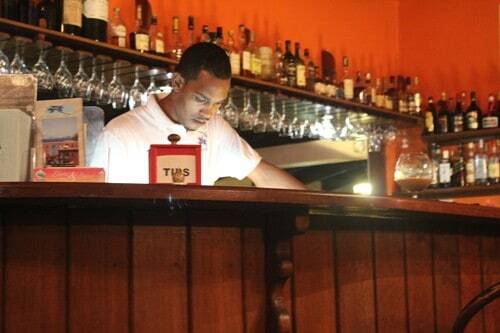 Petite Anse serves a number of local rums including River Antoine Distillery products.